In what is considered to be a symbolic look toward humanity’s demise, the Bulletin of the Atomic Scientists on Tuesday said the Doomsday Clock will remain at three minutes to midnight—unchanged from where the clock stood in 2015. At least for the time being, our world won’t descend into a Fallout apocalypse—but don’t start celebrating just yet. 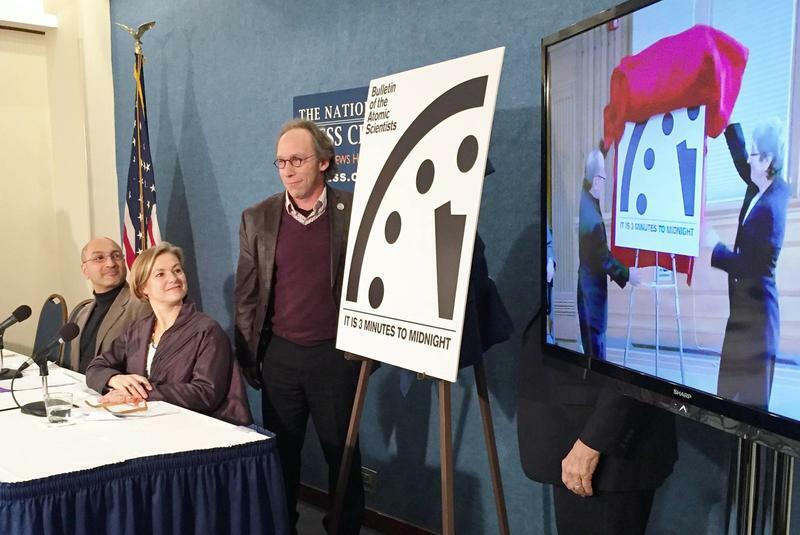 These scientists warn armageddon can strike at any moment. The decision to keep the clock at three minutes to midnight was made due to the rising tensions between the United States and Russia, which the Bulletin describes as “levels reminiscent of the worst periods of the Cold War.” Additionally, conflicts throughout Europe and in other parts of the world have kept these scientists on edge, while global temperatures continue to rise. A recent study by NASA and National Oceanic and Atmospheric Administration (NOAA) confirmed 2015 was the warmest year in recorded history. Despite the clock’s ominous position, this isn’t the closest it has been to midnight. Bulletin scientists set the Doomsday Clock at two minutes till midnight in 1953, which is the same year the United States began pursuing the hydrogen bomb, a weapon of mass destruction much more powerful than the atomic bomb. While the Bulletin’s Doomsday Clock is merely symbolic in nature, meant to reflect the current climate of the world, it still highlights very real threats. Our existence can be wiped out at any moment—just ask Michael Bay. But hopefully it won’t be the world’s politicians and military leaders that lead to our downfall.